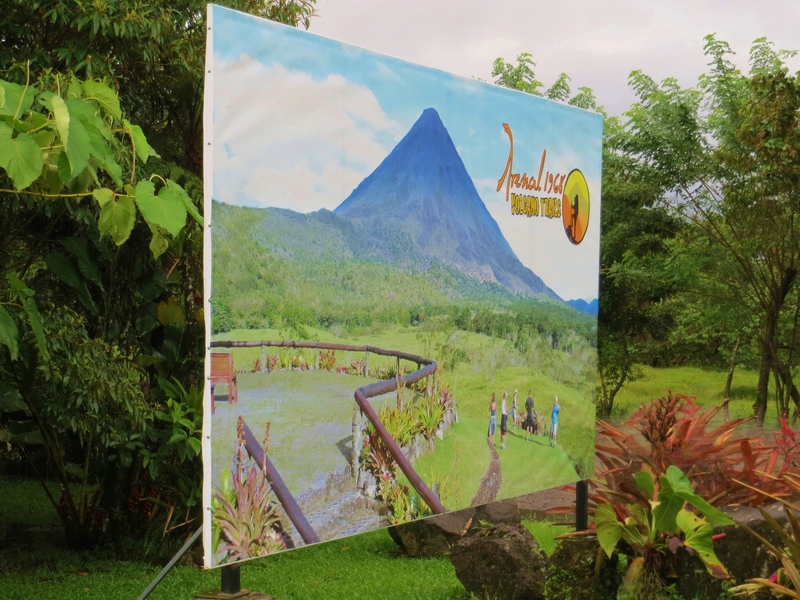 Our second day in La Fortuna was arguably one of the busiest of the entire trip. 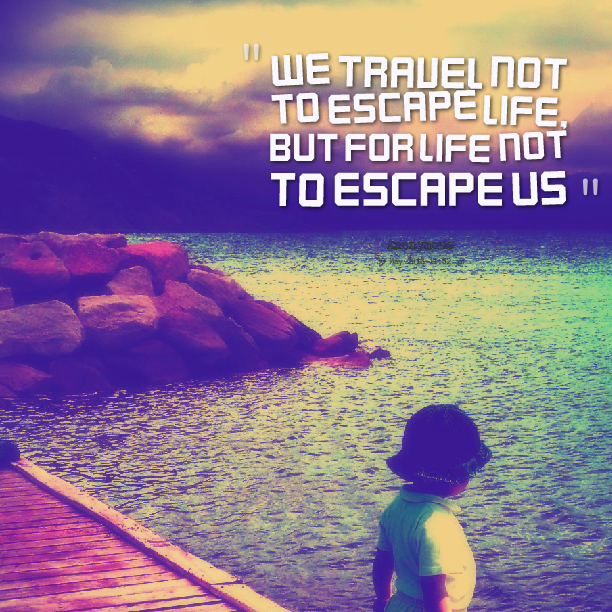 We started early and hopped from one activity to the next until we were completely exhausted. Rising early, Karen and I headed down to breakfast to fuel up for our packed day. 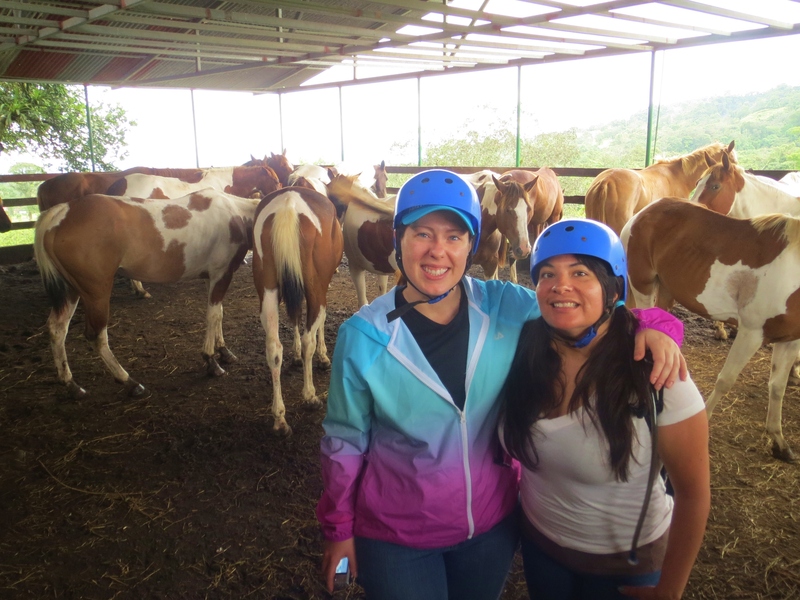 We decided to indulge in an optional horseback riding tour. 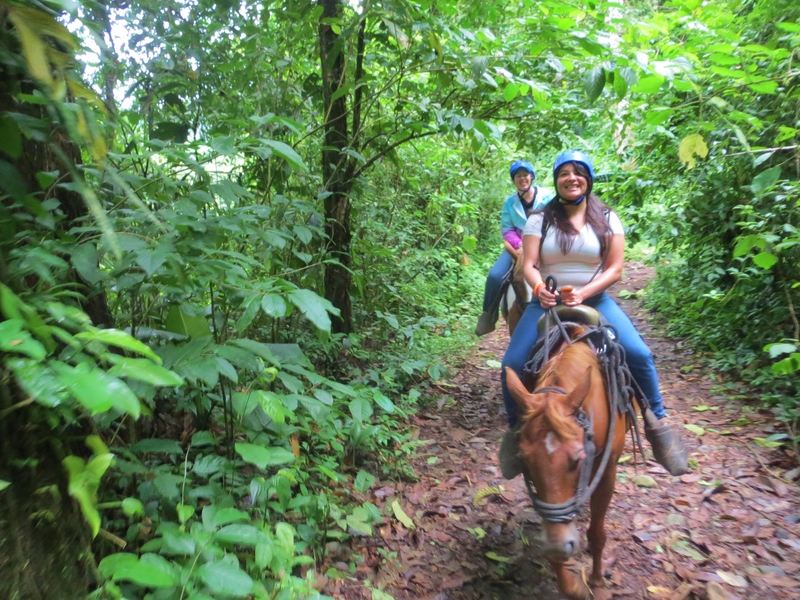 Karen was excited for this opportunity having never been on a horse and I, never one to turn down an animal encounter, was game to explore Costa Rica by horse. Worried about two silly girls on their own, Papa Carlos decided to join us on our morning ride so he could keep an eye on us. 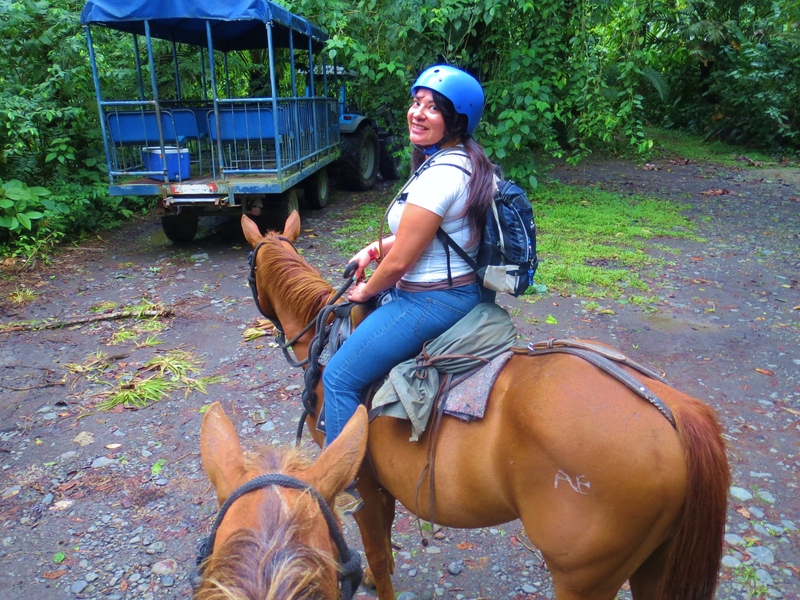 Saddled up and ready to go, our guide Candido gave us some basic instructions on how to handle our horses. It’s a good thing that I remembered most of the tips from my last ride a few years ago because everything was in Spanish and I didn’t follow a word of it. Not an experienced rider by any means, I felt comfortable on Mariachi, who was probably the largest horse of the four and confident that I knew what I was doing. And it was a good thing because this ride was unlike any I had been on before. 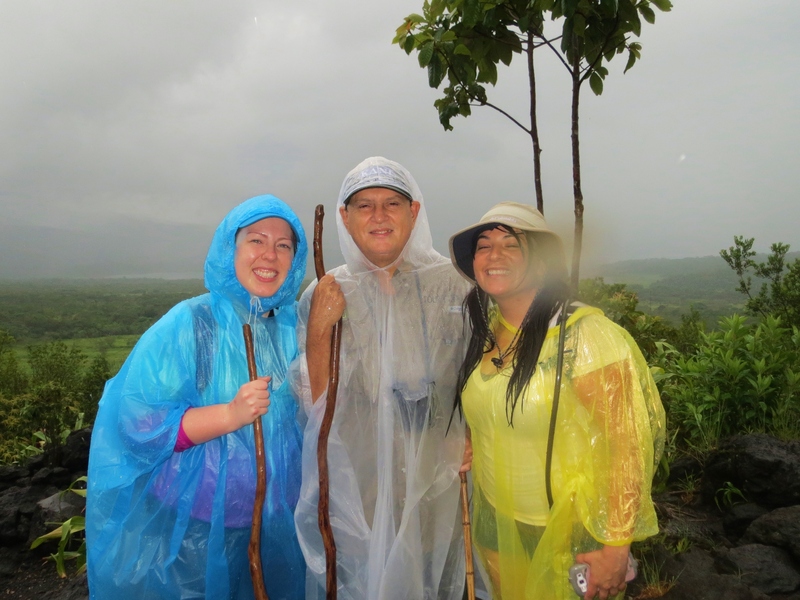 With the lush landscape before us, we searched for birds and iguanas along the path. We laughed as my horse had to take frequent bathroom breaks and Karen got her horse legs. Butterflies fluttered around us and we could hear the howler monkeys in the trees, their throaty barks echoing all around us. 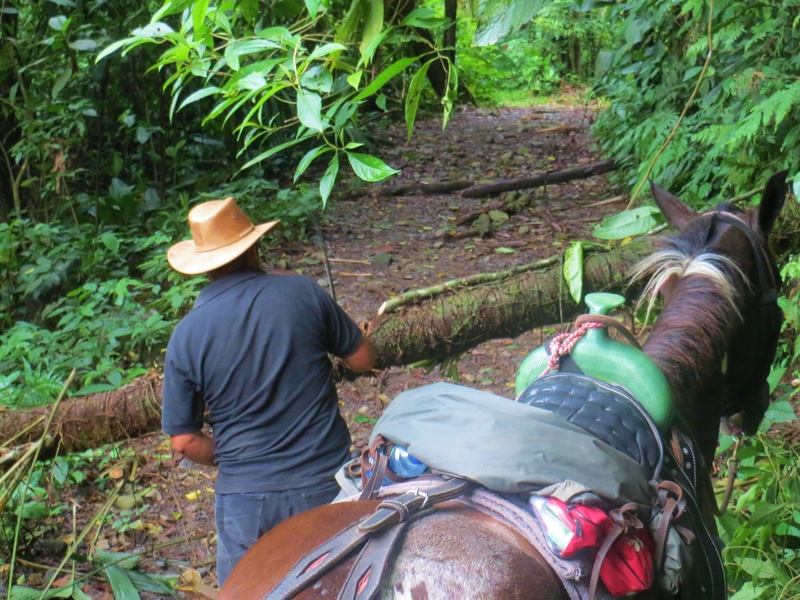 We even came across a few fallen trees, some of which our horses jumped over (loved that!) and others that required a more violent technique. Yep, Candido had to break out the machete. He had the tree down and out of our way in no time. 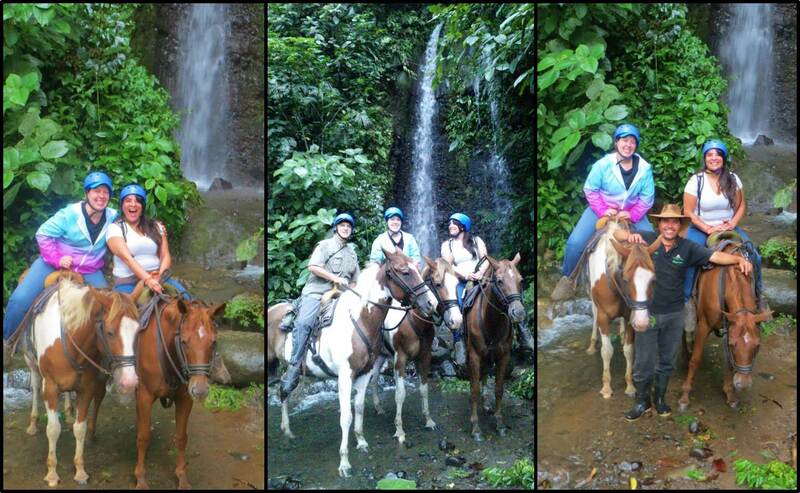 Once we reached the waterfall, the highlight of the ride, we snapped some photos with Carlos and Candido and headed back up the trail. Cowgirls & Cowboys: me, Karen, Papa Carlos in the middle, and Candido on the right. As we headed back, we saw a family of peccaries, a type of wild hog, crossing our path. They were too quick for my camera, but it was pretty neat to see them. 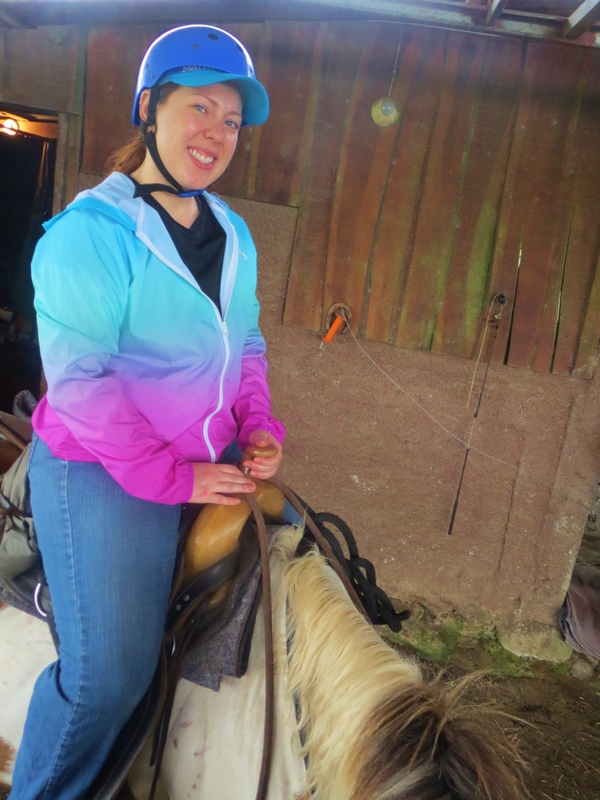 One of the funnest parts of the entire ride was getting to do something I’ve never done on a horse: gallop. I’ve trotted before, but galloping and getting to see how fast a horse can go is a blast. And luckily, Candido was nice enough to catch it on video. 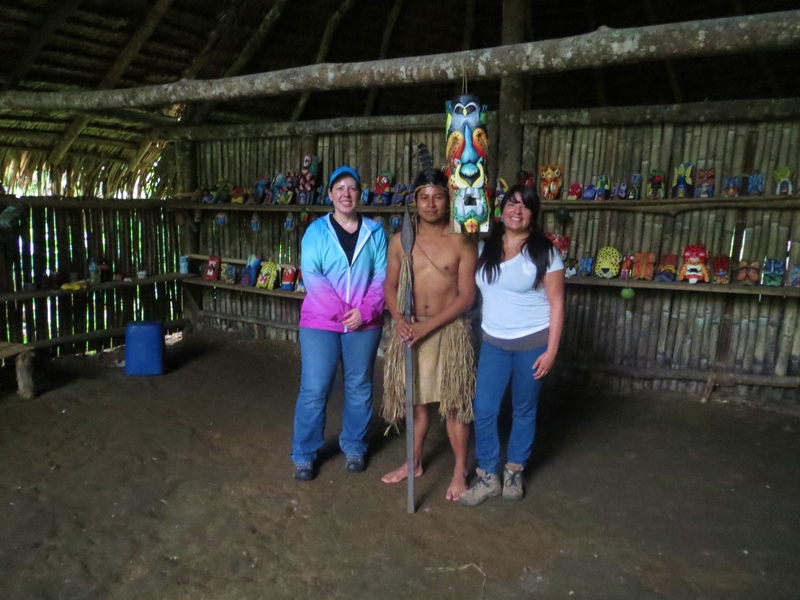 We took a short break at a hut to learn about the Maleku tribe. We were taught their native greeting of “copi-copi” with a fist bump to the other person’s shoulder. 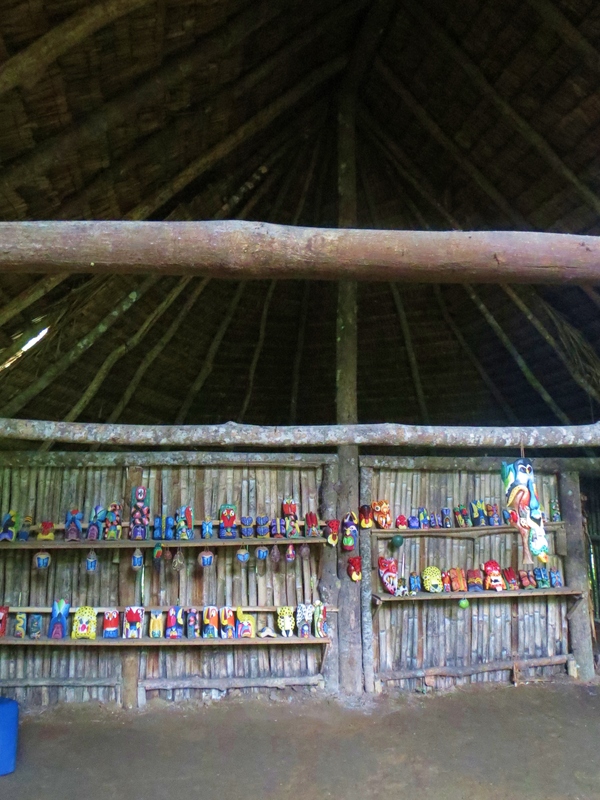 In the hut, we looked at all of the native artwork. Sadly, we didn’t know that our ride would include this stop so we didn’t have any money with us to buy some of the unique creations. With thanks to Candido and Carlos, we ended our ride and headed straight for the spa where we would pamper ourselves with massages and facials after a relaxing few minutes in the sauna. I’ve never fallen asleep during a spa treatment before, but after Pamela spent an hour on my back and moved onto the facial, I found myself so relaxed I knocked out and snorted myself awake. It was heavenly. 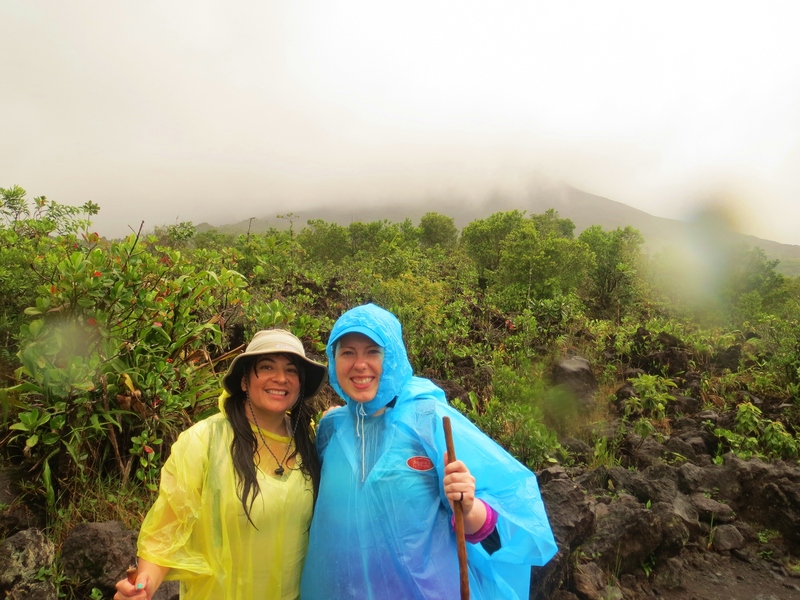 We barely had enough time to run back to our casita and change before we headed to lunch and a nature walk up Arenal Volcano. 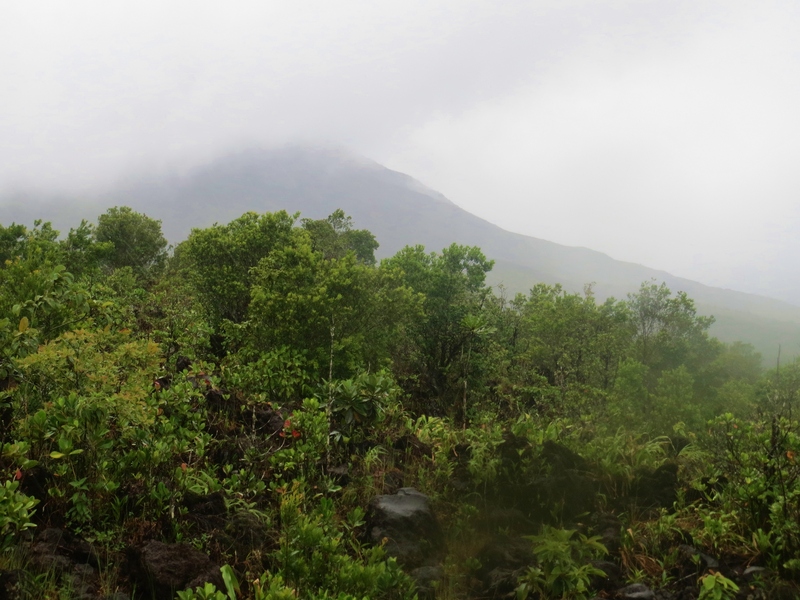 We didn’t get very far before the rain started and it didn’t stop until after we had climbed the mountain and forged a small river. 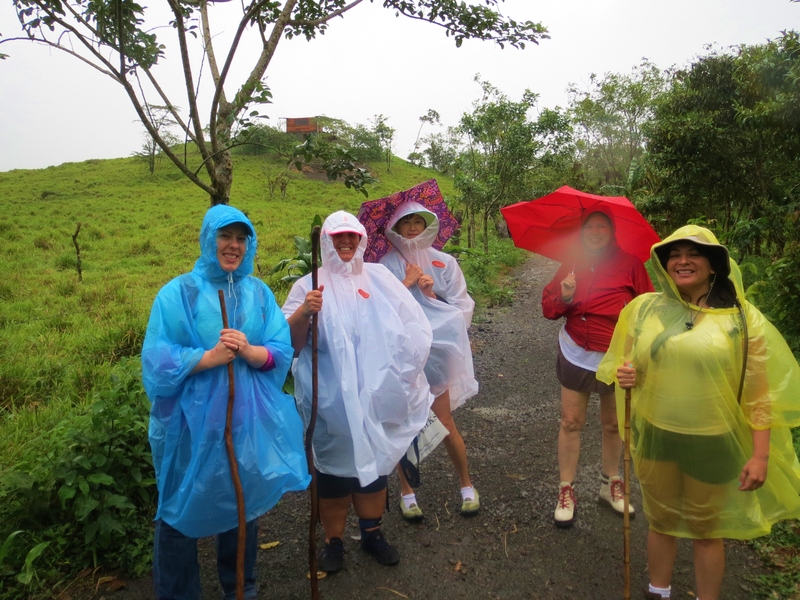 At the first drop of rain, the Biddies turned back toward the van so Papa Carlos escorted, Bliss, Karen, and me up the volcano. 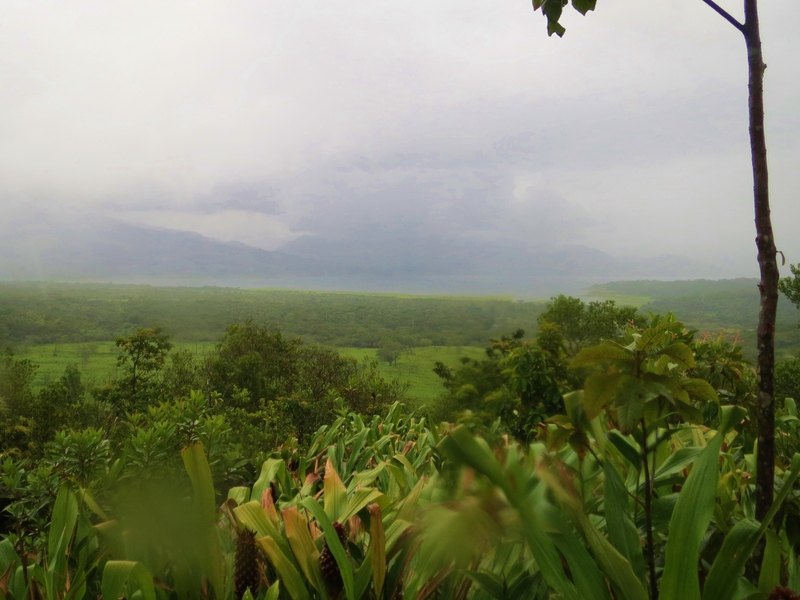 The views at the top, though foggy, were absolutely breathtaking and we could see Lake Arenal in the distance. We love our Papa Carlos! Karen and I sporting our alma mater’s colors: blue and gold. 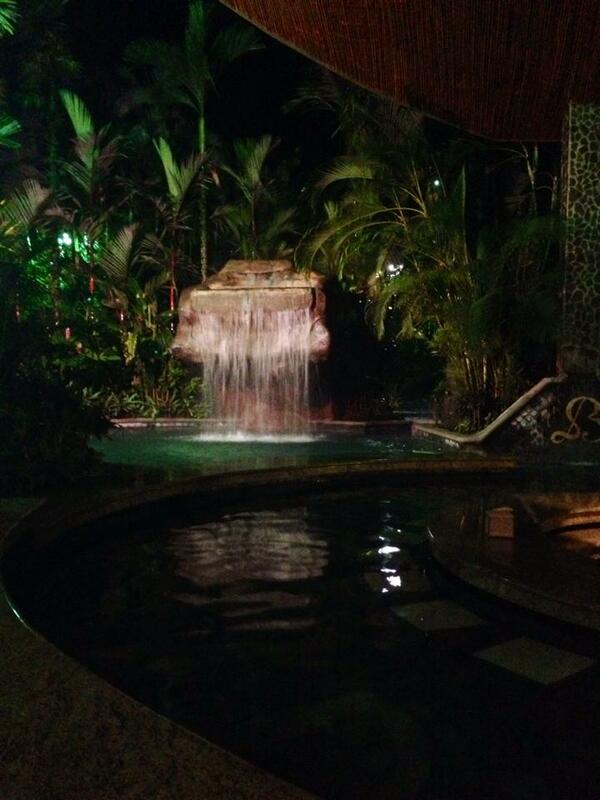 With the horseback riding and the rainy hike behind us, it was the perfect time to soak in some hot springs again. 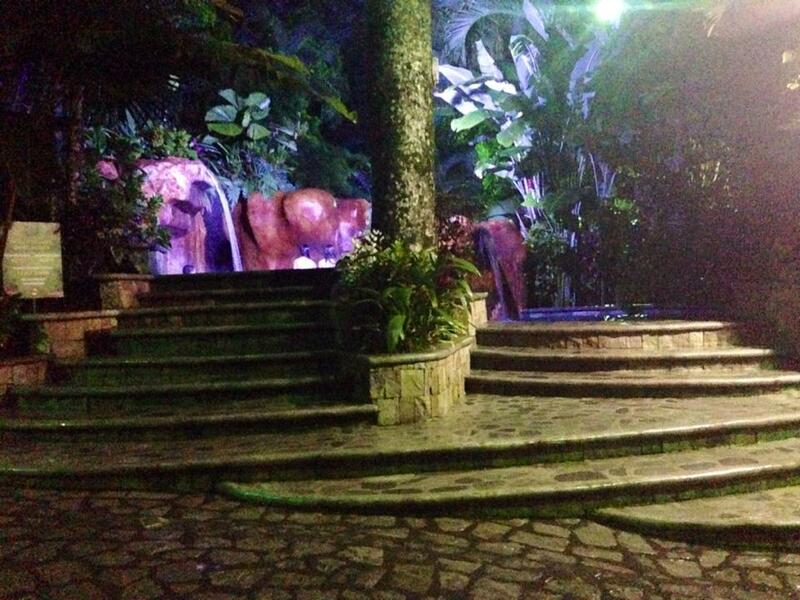 This time, we went to Baldi Hot Springs where we had 25 different springs to choose from. Though we didn’t try them all, we sampled quite a few and they all had different temperatures. 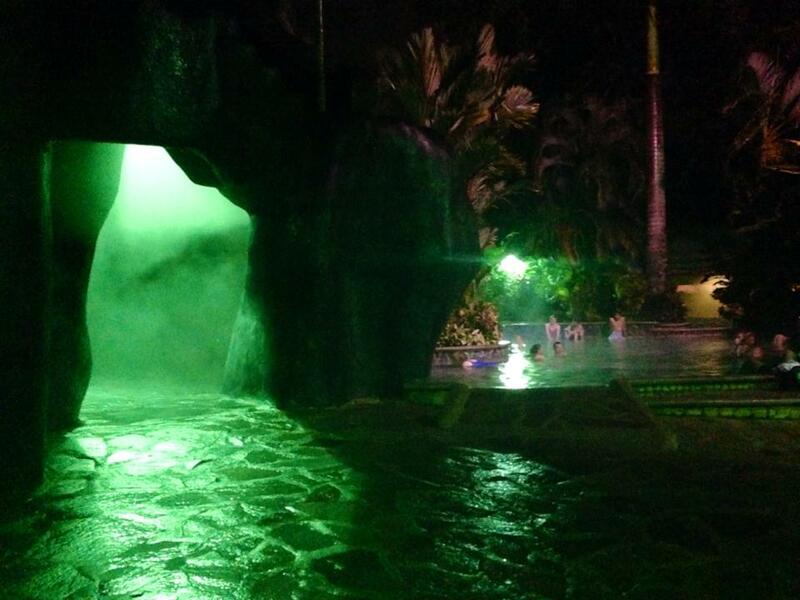 The glowing green light… that was the sauna. Too bad we didn’t see this one until we were dressed and heading to dinner. From the freezing to the lukewarm to the super hot, we hopped from spring to spring, letting the natural waters refresh us. In a rare moment of bravery, the Biddies joined Karen, Bliss, and I as we went from the warm spring to the chilly and back again for a truly invigorating experience. Karen even made a friend. Though the day was busy and we were wiped out by the end of it, it was incredible. Soon, we were back in our casita, sharing a bottle of wine and chatting about all the fun we had shared. Man, I haven’t been horseback riding in years. That looked fun. Those springs looked amazing too. It was really fun, Phil. A little sore later, but still fun.